Wanted to write to tell you how wonderful the photos are… sorry not sure where the time has gone, meant to do this much sooner!! There are some absolutely beautiful shots in there, spoilt for choice of romantic ones which is exactly what we were hoping for. The black and white one of Jade by the curtains has drawn comparisons to Miss Haversham -but obviously with a happier ending! So glad we managed to get the flamingos in there and the last of the summer! Our photos are fan-bloody-tastic! Thank you so much. I particularly love the cropped letterbox shot of the groomsmen applauding with our son holding his head in his hands and I love that the formal shots don't look all that formal. The grades are beautiful too. You really captured the mood of the day - I'm chuffed to bits. So, so happy we hired you! Thank you very much for dropping off our photos yesterday and for the amazing work you both did. We loved the slideshow, and also the other pictures you had provided for us. Just wanted to send belated thanks for the wonderful photos. We absolutely love them and you captured the day beautifully. We received the pictures! Thank you so much! They're wonderful! Just in time to show Chris' Mum. We are all really delighted with them. Some really beautiful shots of our friends and family and flattering photos of us too. Super impressed that you managed to catch my Dad smiling at some point during the day! Thanks for the lovely DVD and pictures We really like what you and Aga have taken... it captures the day really well and it brings back really good memories. I definitely recommend you both as wedding photographers to my many friends. Thanks. Wanted to let you know that we received our photos over the weekend. Thank you so much for the care and time you took over our wedding, we are very pleased with our pictures and look forward to sharing them with our friends and family. It really isn't possible to overstate the case for hiring Jason and Aga as photographers for your wedding; weddings are expensive - but our photographs are definitely money very-well-spent. Not only have the photographs, and thoughtfully and intelligently put together slideshow DVD, brought us and some of our guests great pleasure in reviewing and reminiscing, they've also brought even greater pleasure to those of our friends and family who were unable to attend the wedding. Several people who weren't there on the day have said that the atmosphere seemed to have been so authentically and exquisitely captured that they felt like they'd been there after all. 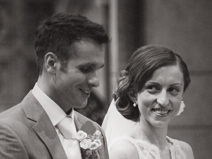 Perhaps most tellingly though, a couple of friends, both of whom are designers and photographers themselves, independently commented that they were quite simply the best wedding photographs they'd ever seen. Jason and Aga were an absolute delight to have amongst our guests: at all times professional, sympathetic to the emotionally charged environment, and, best of all, really good company to have around. We'll treasure their photographs for the rest of our lives. I know not enough superlatives adequately to describe our satisfaction with, and pleasure from, their work; it exceeded every expectation of ours. Seena & I are absolutely delighted with the photos ...the DVD is fantastic and captured some moments which we will treasure in the years to come. Just wanted to say a massive thank you to both of you, all the photo's are fantastic and captured everything that we would have wanted them too! I am so thrilled with them, I can't thank you enough!!! Thank you again, I am over the moon! Got them! IN LOVE! Oh they are so perfect!!! You guys are fantastic! We cannot thank you enough!!! We are going to spend some time ogling these and will surely be getting back to you about ordering some other goodies (like prints and books and whatnot). If there are more that you weeded out, we would Love to see them as well! Can we get the Picasa web album now as well so I can share your wonderful creations with our family and friends?! I'm so happy I cannot even tell you! I knew when I found you guys online that you had just the artistic eye and skill I was looking for and I was oh so right! We had such fun working with you and these pictures will bring us happiness and joy for the rest of our lives as we take them in and remember that special moment in time. Many thanks and lots of smiles!!! p.s. I adore the hand written note and thoughtful packaging! Yay! 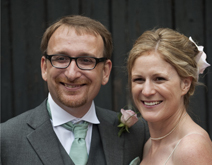 A HUGE thanks to you both, Aga & Jason, for being absolutely fantastic on our wedding day. Mike and I were so excited to receive the disks & we're thrilled by the quality of every single photo. Your storytelling through your photography is amazing, you have literally captured 'magic' for Mike and I, being able to look back at these precious moments in time is priceless. We loved your dancing on the dance-floor..... obviously this is all part of the job....!!! and the photos capturing movement of everyone on the dance-floor are incredible. Aga I can't thank you enough for your advice almost a year ago and I am so pleased that you & Jason were able to shoot our wedding because now Mike and I have wonderful photos to keep forever. I just wanted to thank you for the photos and DVD. They are truly beautiful pictures. You have done an astounding job! We have already had a number of people ask for your details so we will pass them on! We received the wedding photos and dvd yesterday afternoon and absolutely loved it! We now need to send them off to family!!! Thank you so much for your professionalism. 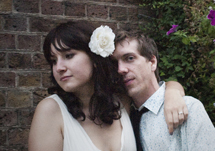 When we were planning our wedding I became neurotic about finding the 'right' photographer. After looking at over 200 we chose Jason and Aga. We got married over a year ago now, and on that fantastic day we actually didn't even notice having our photograph taken. Even though the chapel we were married in was tiny, Jason and Aga just blended into the background. They were seamless. The outcome were a set of unbelievable photos. We still look at them regularly, and are always proud to show them off. People often say (and I'm not just saying this!!!) that they are the best wedding photos they have ever seen. They really did capture the spirit of the day. We just love them and really will treasure them forever. Picked up the cd's from the post office on Saturday - love, love, love the photos! The dvd is fantastic - thank you very much! We hired you after seeing your work on a friend's wedding. And once again you didn't disappoint! The dvd slideshow that you produced is stunning and sentimental and truly tells the story of the wedding as it unraveled. It's a great album and memory of the day that captures all the emotion and excitement. 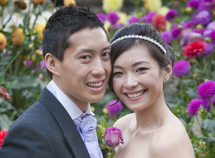 Our main reason for hiring you was that we wanted natural shots, and not just posed photos. All the photos are full of those little natural moments that are over in a blink, but you didn't miss them! We can't thank you enough for the beautiful memories you have provided us with, and for being so cooperative on the day. We were blown away by our wedding photos, they really were absolutely amazing and exactly what we wanted, and more! 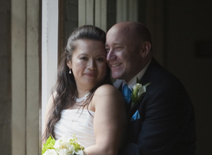 Jason and Aga captured every moment of our day perfectly and we've had so many lovely comments. The DVD was a lovely touch and we have watched it over and over and sent copies to family and friends, so a big thank you for putting that together too. We couldn't have asked for a more professional, friendly and obliging service. We received the discs. The pictures are great and really capture just how happy day it was for us. Particularly being able to see bits of the day that we missed, like the guests arriving at the church and the pictures taken after the ceremony when they had made their way to the gardens for the start of the reception! However, we would like to say how wonderful our photos are and thank you so much for doing such an amazing job. 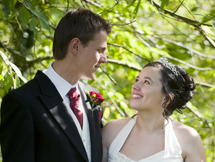 Thank you so much for the amazing photos you took of our wedding day on 3 July 2010. You guys somehow manage to capture the most special moment in a single shot and have given us some fantastic memories of our perfect day. 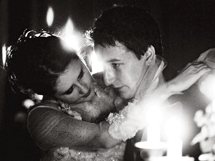 I still cry every time I look at the gorgeous slideshow you put together for us! You were both so lovely to work with and definitely gave us the natural photos we hoped for. We had our favourite images made into big canvases which are hanging in our lounge, everyone who visits comments on how beautiful they are. I would just like to add a little extra note to say a huge huge huge thanks. The compliments on your pictures have been incredible; people cannot get over how you managed to capture the atmosphere in a picture. They’re so alive and vibrant. I love how you both caught so many wonderful moments without being in our faces. It was such a pleasure having you there; I only hope we have many more opportunities to use you guys. Thanks again on a wonderful job. Everyone we've shown our wedding photos to say they are the best they have ever seen. Jason and Aga captured our day perfectly by shooting it as it happened rather than staging stale and boring shots. They got right into the action without us realising they were there. The quality of the photography was exceptional, and the fact that they provided us all the shots afterwards meant they provided real value for money. Thoroughly reccomended. Let us know if you need anything more. Just to let you know we absolutely love our photos. I only just got your photos on Friday and have already shown them to friends and family. Everyone thinks they are amazing. They captured the day so well - looking through the photos you can see how much fun the day was. I liked you the minute we met and my instincts proved me right! I don't have enough superlatives to describe how happy we are with the photos. Both of us wanted to say a BIG Thank you to you for capturing both our (Hindu & Danish) wedding ceremonies to such perfection!! From the time we met Jason, we knew we had the best photographers. You actually understood the style of photos we wanted. Throughout, you were friendly, professional and most importantly, fun to be with! 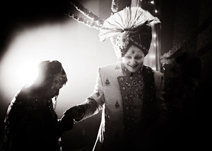 The photos you took of our hindu wedding in India are just awesome!! You captured every little detail of the mehendi, sangeet, various pre-wedding rituals and the wedding itself to such perfection that every time we look at the photos or show them to our friends and family, everything comes back to us as if it was just yesterday. Our families also extend their thankyou to you for coming all the way to India and doing such a brilliant job! 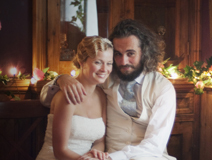 Our Danish wedding ceremony was again captured so beautifully that words fail us! Again, you captured all the details and the day exactly as it was. The photos bring back so many memories. Each and every photo is just brilliant and together they tell such a lovely story. Those family members who were not present on that day could also see how the day went. There are also so many photos; all this when we barely noticed your presence on the day. All our family and guests have commented on how beautiful and brilliant the photos are!! Thank you ever so much for giving us memories of a lifetime. 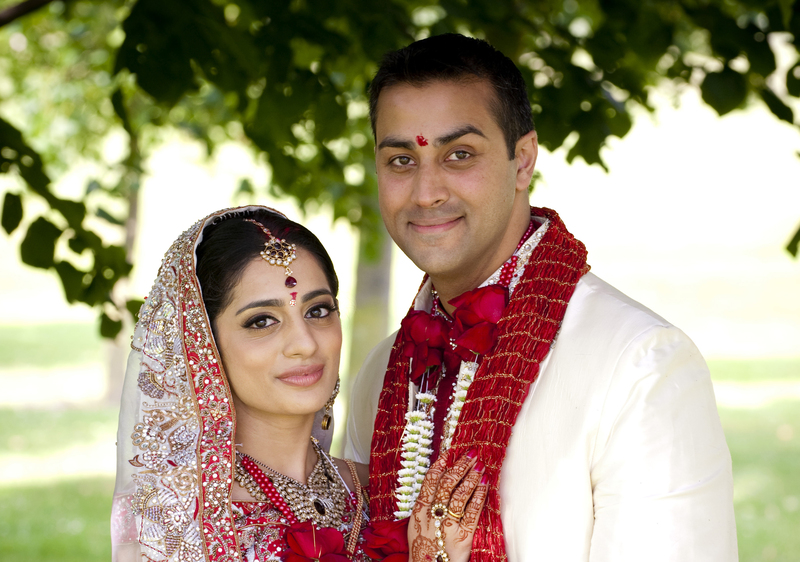 We would highly recommend you to those who want quality photographs, especailly in Asian Wedding Photography. Thank you Aga & Jason for our amazing wedding photos, you completely surpassed all our best expectations. From the moment when we met in March we could see that you were not the usual wedding photographer but something very different. Importantly to us you did not hold the wedding party "hostage", as is very often the case with lots of group shots, instead your "journalistic" style photography unquestionably (but discreetly) captured the natural energy and special moments of the day that bring back so many memories. When we received the wedding movie and the JPEGS some weeks later we were absolutely blown away with the quality of your work. I can't thank you enough your work, you have you given us, our family and friends images of our day that will be with us for the rest of lives. We would just like to say a BIG thank you for our wedding photos. We absolutely love them, there are some really good ones in there and as for the zombies, well, that will probably be making the living room wall! Thanks for capturing the day brilliantly. Thanks again for doing a great job, would definitely recommend you to others getting married. Hope you had a great Xmas and wishing you a very happy new year 2010. We would be more than happy to recommend you to anyone getting married as you did such an amazing job on the day and the photos have turned out brilliantly. You are the most amazing photographers ever!! Thank you so much for capturing our day so perfectly! The images are stunning, every single photo is fantastic! The only problem is....... It's so difficult to choose our favourite one! I cried throughout the slideshow as it brought the day back to me and you captured every special moment showing things that you would not normally see. We cannot thank you enough, we hope that you continue to make other couples as happy as us! Thank you so so much for the DVDs. I cried when I watched the slideshow with Simon! We can't wait to get them developed! Thank you so much again! We love the photographs, I cried when I watched the DVD you have captured some photos that are really very special for us and our family. THANK YOU. We have received the Photo’s and Slideshow and they are great!!. 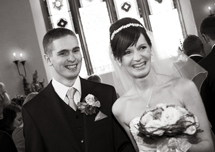 Brings back the memories as though they were yesterday and we both thought that you have both managed to capture our big day with great precision and it shows events exactly how they occurred. So a big thank you to you both for all your hard work and for our excellent pictures and slideshow. I collected the DVDs yesterday - the pictures are amazing. You and Jason have really captured the day, and even managed to get some great pictures of that most reluctant of subjects - Joss. He has said how much he loves them too. Also loved the little grey wallet - really nicely designed! 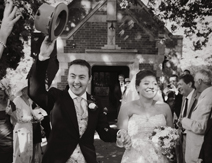 The photographs are absolutely stunning, and show the wedding how I remember it - full of fun and love. The photos will soon be on their way to all the guests, but my friends have had a look and some of them brought them to tears. I don't think we could have asked for anything more of you - you were absolutely amazing,and I often find myself just flicking through the photos when I have a spare minute. Thank you so much for the fabulous photographs. Everyone told us that our day was fantastic and the way that you have captured the day proves just that! You are both a pleasure to work with and the magic of your photographs have cemented our memories. We like the quotes too! Thank you so much for our wonderful photos. They are amazing and really captured the spirit of the day. The dvd is great and works really well with the music. Thank you again and we wouldn't hesitate to recommend you to our friends. Thank you so much for our beautiful photos. We absolutely love love love them!! The day they came we watched the DVD over and over again (till 3.30am actually). We don't know how we will ever narrow it down to make an album because we love all of them. You captured our special day perfectly and we are so lucky to have found out about you. With best wishes from us all. Thank you very much for the photographs. We are both absolutely delighted with them and are showing them to the world. Everyone is very impressed and blown away. I think you did a wonderful job with the slideshow and look forward to seeing the prints when I have them blown up large scale. You certainly did a full coverage of the day and captured every precious moment we wanted to capture. I’m already planning to recommend you as soon as Anne (girl that caught the bouquet) gives me her announcement and to anyone else getting married. It’s been a pleasure working with you and I’m sure you’ll be doing very well in the future. We looked at so many photographer's work before we found Aga and Jason. 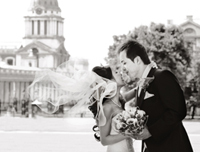 We loved their stylish and contemporary pictures, and when we met them we knew we had made the right choice. 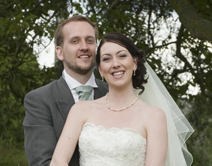 On the day they were friendly, professional and fitted in perfectly with the relaxed vibe of our wedding. Our pictures were glorious, absolutely beautiful and had the beautiful AJ Williams twist that we had so loved from the beginning. We just can't recommend them highly enough. Thank you so much, Aga and Jason. Thank you so much for the photos. We loved them, and so did everyone we showed them to! Thank you for capturing our day and we hope you had fun too! The photos arrived on Saturday so thanks so so much for that. Royal mail does have its good points!! We totally love every single one of them ( even the hulk ) and thank you both for all the hard work and effort that you put into taking them and finishing them off. The DVD is great and the photo composition works fantastically with the music chosen. We have watched it a good few times over the weekend and I showed it to my family and they were so impressed! Excellent work all round! I cannot believe some of the colours and the photos you managed to capture for us. Normally you are lucky to get one or two stand out shots, but every shot on that DVD and the majority of the others are just 'legendry'! Sorry I've not emailed you earlier , i've been too busy showing pictures to people!!!!! They're fantastic! We're really chuffed with them, especially the ones we're you've made us look like film stars! And Rob has concluded that I'm more photogenic than him! We can't thank you enough for your work - you really have exceeded our expectations. We're just upset that we won't get to see you again - unless you do family photos for when our kids one day arrive!?!?!?!? WOW, WOW, WOW! We absolutely love our photographs - thank you so much for doing such an incredible job of capturing the energy and emotion of the day. There are some completely magical images of us, our friends and family which we will treasure forever. The shots of us during the service and the one where I'm walking down the aisle with my dad, and the light is streaming in behind us, are breathtaking. We are blown away by them. Thank you again for providing us with the most amazing memories of our wedding day. Thank you for shooting such beautiful photos on our wedding day. You have most certainly defined ‘Reportage’ in its true aesthetic natural side. You can tell a huge amount from his and her attention to detail…. and this you have shown, as perfectionists in wedding photography. We are great fans of your work but then again we knew that already at the start. 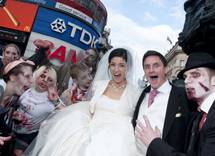 So keep pressing the button… make the next bride and groom as happy as we are! First of all I want to say in the behalf of me and Felix and his family a big big thank you! We got the picts and enjoyed watching them very much! The DVD itself is done very well too. I really like the documentary style, you got some very special moments to last forever. We are very pleased with the lovely reminder of a wonderful day we all had. We would just like to say thank you so much for the photos; we love them. You have done the most amazing job. I have a few people at work saying that should they ever get married, they would love to use you. We would love to have one of your posh albums printed up. 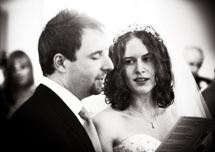 We just wanted to say a massive thank you for the photographs you took of our wedding on the 27th March 2009, they are absolutely fantastic. So many of our guests have commented on how professional & discreet you were on the day, in the background clicking away & capturing the moments, and the moments that you captured are amazing. The fact that we get the copyright of the pictures is brilliant, I know a few of my guests are going to get the pictures of their children put onto canvas, so a lot of your work is about to be displayed in front rooms around Essex & Surrey. There is just one problem though…. There are so many lovely pictures we can’t choose just 50 to put in an album… oh well it’ll just have to be an extra thick album! As you know I organise Weddings and will have absolutely no hesitation in recommending you to all of my upcoming brides. Once again thank you for capturing every moment of our day perfectly. Thank you so much for our photos. They are fantastic. I was so excited to get them. Watching the DVD is like reliving the whole day again. Having the CD with all the photos is great too. I have been emailing them to everyone. The problem is going to be picking which ones to print. You have really captured our day and our guests beautifully. Thank you as well you for friendly and professional attitude. Lots of people mentioned how impressed they were with you. I think they really appreciated not having to pose/wait around for photos to be taken. And Aga, thank you for your calming influence in those last few minutes before I left the house. I will not forget how lovely you were. I will definitely recommend you to all our friends. You were the perfect combination for wedding photographers. Two people who take a blinding photo and who also happen to be exactly the type of people you want around you in the run-up to and during a wedding. In the meetings before you were professional, organised and fun to share a beer with. On the day you were calm, composed and discreet. Thanks also for finding all those extra shots we hadn't specifically asked for. With both sets of parents reduced to tears by the DVD, you can consider it a job well done. We have huge admiration and respect for your talent. 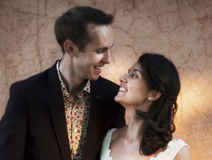 Ro and I just wanted to let you know how delighted we are with the fantastic work you did for our wedding. We are so pleased that we chose you. From our first meeting, we both had a good feeling about you both and a confidence about the day which you had instantly instilled in us. You understood exactly what we were after and your style and approach to the day was perfectly in sync with us. And the end result blew us away. The DVD captured everything we had hoped for and that, in combination with all the other stills, gave us the most beautiful visual memories of the day. The naturalness permeated through all the shots. Whilst we were pleased we had asked for a few traditional family posed shots, the candid nature of everything else you both shot was head and shoulders above these. And what a great idea to shoot out on the Embankment! Those shots really made the wedding unique. A brilliant job and we will always be eternally grateful that all we have to do is look at your work to relive the splendour and happiness of the day. The DVDs got delivered yesterday and we absolutely love it! Have watched the DVD several times already! Thanks to both of you for all your hard work - you provided a brilliant service on the day and have created some really happy memories for us. We received the cds this morning and they are wonderful - the slideshow had both of us in tears (though not as much as David at the wedding) and the captions on the other photos had us in stitches! Thank you ever so much for capturing our day, the photos are perfect! We will be in touch in the New Year to discuss sorting out albums/photobooks and canvases. Thank you so much for the photos - they are beautiful and we have had so many fabulous comments from our friends and family. I still can’t believe we looked that good! It was a lovely day and thank you both for everything- I have already recommended your services! The pictures were fantastic and really captured our special moment from all different perspectives (some of which we never knew happened). My parents would like to thank you for such a truly amazing service, so detailed, professional and thoughtful. We will be watching the dvd over and over again for years to come which will help us relive the day. We will be recommending you to all our friends. Well, we got back from honeymoon just before Christmas and so the dvd and photos have now done the rounds and everyone who's seen them absolutely loves them - between our family and friends there seems to be a picture that reminds each person of a special memory from our big day which was exactly what we wanted. From first meeting you, right through to the day itself, you were always helpful, informative and more importantly for Jeff and myself, relaxed and friendly! 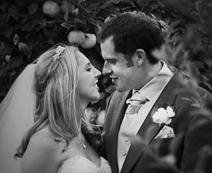 We wouldn't hesitate to recommend you to anyone looking to capture all the fun, laughter and emotion of their wedding. Thank you so much for giving us such a beautiful collection of memories! 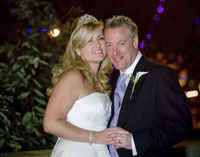 That has been the overwhelming response from everyone who has seen our amazing wedding photos. Mark and I were in raptures over the slideshow; the images and the way you’ve set them to the music is just spot on and really tells the story of an exceptionally fun, relaxed and romantic day. You have captured our personalities and all the emotion of the best day of our lives. The photos are so incredible due not only to your skill as photographers but also your own personalities, ethos and passion for what you do. We are so thrilled that you were such an important part of our wedding. Thank you so much! We did look at all the photos on our computer, and WOW. You both did a fantastic job - you really captured the mood of the day and we particularly loved the candid shots of people caught off-guard. The colours and editing were superb too! Thank you so much for our wonderful wedding photos. We cannot even begin to say how delighted we are with the images. You have managed to perfectly capture so many special memories that we will treasure forever. Watching the DVD slideshow brings back all the emotions of the day as if it happened yesterday. You were fantastic to work with and we cannot recommend you highly enough. 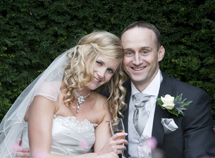 We are delighted you could be part of our special day. We would like to say thank you so much for the wonderful job you have done on our wedding photos. We are really delighted with them. You have captured so many natural and meaningful shots which is exactly what we were hoping for. Everyone that has seen the photos have commented on how lovely they are, which is really nice for us. Got my photos and I love them, thank you so much. she asked for your details. Just a note to say thank you for the amazing photos! We really love them all, and they're such a brilliant reminder of the day - the laughter and the tears! but it really captures the spirit of the day and is something we will treasure. Everything seemed to go so quickly on the day so it's especially nice to be able to see it all played back in beautiful images as often as we like! In fact, can't stop looking at the photos, but I should, because I'm at work and I might get sacked. We'll be showing them off to all our friends and family! 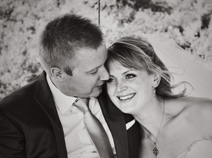 Thank you both so much for doing such a gorgeous job on our photos – we absolutely love them! I think we’ve watched the DVD about 20 times already. which have totally brought our wedding memories to life. as we really couldn’t recommend you more highly! 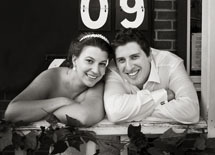 We love the wedding slide show DVD! At every opportunity we have had to show people it has gone straight into the DVD Player! Thank you soo much for creating such wonderful memories of our wedding day...08/08/08!!!! We have about 4 friends who are engaged right now - We will recommend you guys to them all!!!! We just wanted to say how overwhelmed we are with the photos you have produced. Uyen cried the first time we watched the DVD! You have perfectly captured the essence and happiness of our day with stunning photographs, many of which bring back the exact emotions that we were feeling at the time. 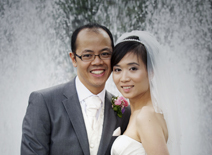 We absolutely love your photographic style... Hieu, Uyen's dad, wanted us to pass on his thoughts that you both were extremely professional and your attention to detail was exceptional. It's unbelievable that there are so many amazing pictures when we hardly noticed you clicking away! You both have done such an amazing job - thank you so much. We will recommend you to everyone! We received our wedding photos and just want to say thank you so much! They are beautiful! you have captured our happy day perfectly, just as we knew you would! We will be recommending you to our friends! We did get exactly what we wanted from the photographs (they're brilliant). We absolutely love them, thank you. We LOVE the photos, they are absolutely amazing. It's the hardest thing to decide which ones to print out and I fear we will end up with an entire wall covered in wedding pics. It was great having both Jason and Aga as our photographers, very understanding and a pleasure to work with. We love the style and attention to detail. The photos and dvd truly captured the moments allowing us to relive the day. We absolutely love the photos! They have totally overexceeded our expectations. As you know we are both unphotogenic and were worried that we may not have any good shots of us to put in a frame. How wrong we were! Thanks to you we have so many fantastic pictures it is proving difficult to choose between them. Everyone loved the pictures and said that although unusual you both have such a good eye. You managed to capture the day perfectly and although you seemed to be everywhere you were not at all intrusive to the day. Not only have we got some great pictures of us but also of many friends and family that we do not get to see as often as we would like. Once again many thanks, we would highly recommend you to anyone. You made our great day special. I can honestly say I have never met or worked with any photographers with the 'eye', technical skill and overall feel for the medium as you two. I am constantly blown away by how you and your lenses see the world. Thank you very much for the photos - they are truly wonderful. We are expectionally happy and have shared them with friends and family who are also really pleased. I have had so many comments about how great the shots are. Thank you so much Jason and Aga for all your hard work, not just on our Wedding Day but leading up to it. We totally love the photos and the dvd! You really captured the relaxed and casual atmosphere we were after, and we hardly even knew you were there! Now the tough job is going to be to pick which ones we want to frame! Thank you for giving us a fantastic set of photos that we will always treasure. Dear Aga and Jason, we couldn't recommend you highly enough! We thought the photos were amazing and it was lovely to have the two of you there on the day, putting us at ease. You both hava a very relaxed style and good sense of humour, not to metion a real eye for unique and artistic photographs. We both wanted to say a huge thank you for the fantastic job you did on all the photographs you took on the day. The passion and commitment you showed to getting photos that really reflected the day was over and above our expectations. And the results really are fantastic and exactly what we wanted. All of our family and friends have commented that the photos are some of the best they have ever seen and we now have a huge number of photos that we really will treasure. I would highly recommend your services to anyone that wants a really special record of their day. We cannot recommend Jason & Aga highly enough. The photos were perfect - there were just so many stunning pictures and so many special moments perfectly captured. It really was ideal. I couldn't say how many times we've watched DVD already - but we sincerely hope you can't wear out a DVD! 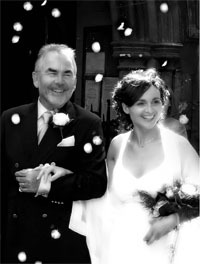 We have a perfect record of our special day now and it is great too to be able to share this as well with all our more far-flung friends by posting it on the website. Thank you too for being so great on the day itself. As well as being so professional and kind, you were really good fun to have around as well! Thank you to you both. You have captured our special moments as it happened. Such great pictures of us and our smiles say it all. We will have lots of lovely memories and photographs to cherish forever. Thank you both so much for capturing the emotions and memories of our wedding day. The shots are truly amazing; a fantastic way to relive the day from start to finish. You were both so easy to work with in the run up to the wedding and on the day, and the DVD really is the icing on the cake and great to share with friends and family (as well as those who weren't able to share the day with us). Thank you so much for the fabulous DVD and CD - the pictures are everything we hoped for and more. You really captured the informal feel that we wanted on the day, and there are some absolutely beautiful shots of our daughter and the other kids. We're struggling to whittle it down to just a few to print and frame! Thanks again, we'll be recommending you to all our friends who are getting married! 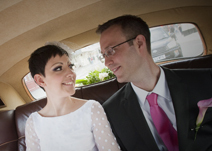 Our wedding day was captured perfectly by Jason and Aga. We didn’t want a bog standard photographer to make us a family album and we certainly didn’t get that. What we did get was an amazing story of what will be the best party we ever go to. They got fantastic pictures of all the key people in our lives without interrupting/shortening the day… something I have experienced at other weddings! They even managed to make me photogenic for the day which is a special talent as I usually repel cameras! Not only are Jason and Aga very talented at what they do but they are lovely people and truly deliver a quality service. The DVD that they put together is perfectly arranged and is a great way to show all our friends without huddling around a photo album. One word sums it all up - Flawless. Once again the pictures are amazing. We're both so happy with them. They really capture the emotions of the days , it was like reliving the whole experience again, well done you both are very talented. We are absolutely delighted, you have done a fantastic job and have really captured the whole feel of the day perfectly. Thank you both so much and seeing them last night made all those awesome memories come flooding back. I'm not ashamed to admit that both my wife and I (getting more used to saying that now!) both got a little teary. We really can't thank you both enough, we always knew you would be the only photographers for us. Your efforts and hard work have produced life long memories that we will truly treasure forever. Our wedding was perfect in every way and now we have the pictures to prove it! Best wishes and thanks once again. Thank you for giving us such lovely photos, everyone is saying how lovely they are! Thank you so much for the lovely photos - they're fantastic! There are so many to choose from, and they all show so well the fun we all had. The DVD is the perfect way to show the pictures to friends and family without it becoming boring. You also fitted in so well on the day that many guests asked if you were friends of ours! Thank-you so so much for the CD and DVD. The pictures are absolutely stunning. We love them!! Thanks for all the effort you put in, the images are truly wonderful! ......we can't stop watching the DVD!! Thank you so much for our beautiful photos of our wedding. We absolutely love both of your photographic styles which combined to give us the perfect all round coverage of our perfect day. You both worked really hard on the day and listened to everything we wanted from our photos instead of you telling us what we wanted, which is one of the biggest reasons we chose you as opposed to the other millions of other wedding photographers. You both managed to disappear into the background when you needed to and were right there when needed to capture the best moments. 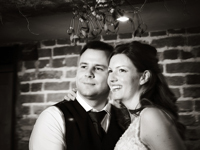 You were both extremeley approachable and flexible before and on the day and we would highly recommend you to anyone to use you for their big day. WOW WOW WOW WOW We love the photos thank you very much. Well done and thanks again. Thanks so much for sending the dvds - there are some great pics, we are really chuffed, thank you both so much. We received the pictures today, and they're great. We think you've really captured the mood of the day, and looking at the pictures and dvd especially it really brings the day back to us. We're both really happy and thank you both very much. Jason and Aga recorded our wedding day wonderfully with some really beautiful and innovative shots that look completely effortless (but which I'm sure were the complete opposite to capture). The CD they produce is a fantastic way of remembering the event and really conjures up the mood of the day far better than an album would and is far more transportable and useable to boot. Hi there both of you. We just wanted to say how impressive the DVD and CD are. We were so shocked that they could look as good as they do - the way the DVD was done is perfect and we are so happy with it. We will definitely be recommending your services to others. Zdjecia sa SUPER, EKSTRA, REWELACYJNE!!!!!!! Jestem bardzo zadowolona! I will write truthfully as I know it is what you are expecting from me! Photos are super, extraordinary, awesome!!! We are delighted with the pictures! You did such a good job in capturing our special day. We love the fact that it is on a DVD and with the music we used in the wedding service as well. You can tend to feel embarrassed asking some one to flick through a pile of photos, but having it on a DVD is great and people do not have to get bored and be polite because it really is lovely to watch. The day is captured so well. We love the artistic nature of the shots you have taken and have captured some real natural situations rather than just posed. There has been no one we have shown our photos to who has not been impressed by the DVD and the photos you have both taken. Thank you. We had expected a series of photos from which to choose stills for an album. We were therefore completely surprised and delighted by the CD he had produced with accompanying music. What a clever way to encapsulate the wonderful mood of the day and so easy to show and give to friends and relatives.